For some reason our post about elastic band skirts lost their pictures, and because it was 3 years old, I thought I would post a new elastic band skirt post. Our new metallic elastic also has me wanting to make as many skirts as possible! First let me say that there are multiple ways to sew wide elastic onto a skirt. F. a way I haven't learned yet. All of these ways are just as good as the others. The idea is just to keep the stretch in the elastic so you can easily get it on and off. The reason I like the metallic so much is because it is hard to see your top stitch. All of these methods have a top stitch. The least noticeable is the elastic thread. You can use just about any kind of fabric: quilt cotton, seersucker, tulle, knit, corduroy, suede, you name it. Measure the length you want on your actual model if possible, then add an 1" for the hem. If you are using tulle, for example, a fabric you do not need to hem do not add the extra inch. I am using 9" for 3T and 11" for 4T. For myself I would use 18-20" depending on the look. If possible use a rotary cutter and ruler for a quick smooth cuts. For the width of the fabric it depends on how gathered of a look you want. 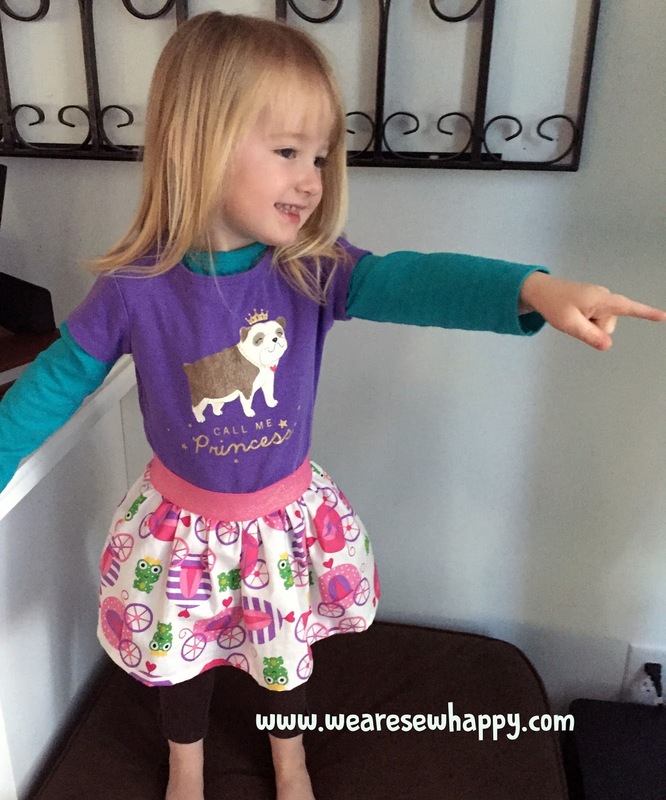 Measure around the waist or where you want the elastic to sit. A very gathered look double your measurement (or just use the width of the fabric). Super gathered triple your measurement. For the tulle skirt I just used the width of the fabric twice, meaning I cut out 11" all the way across twice. I actually think I could have done this 3 or 4 times to get more of a tutu look. The first step for all methods, make your skirt. 1. 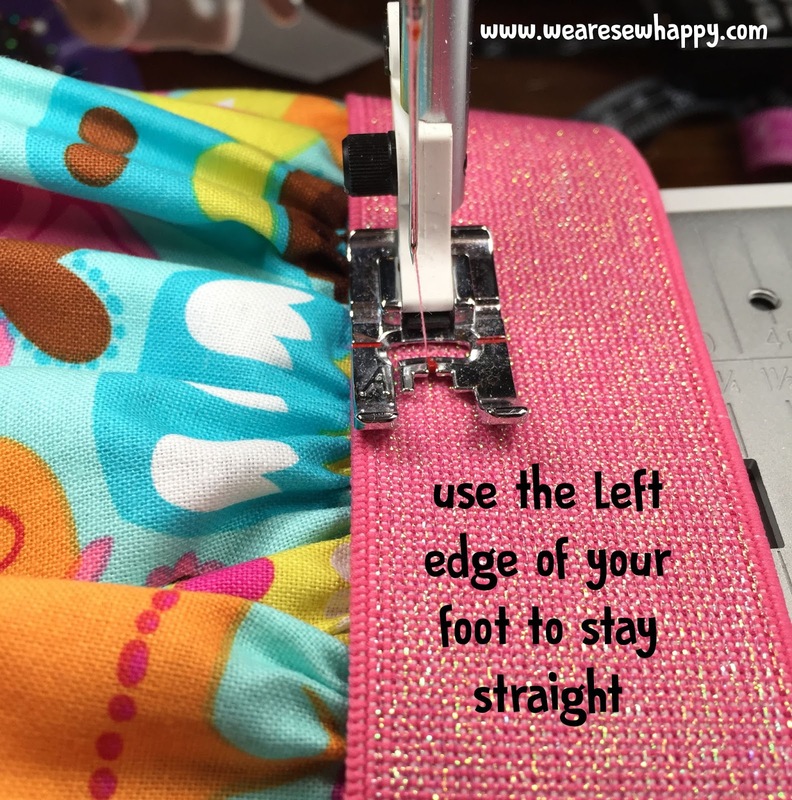 Sew short ends together to make one large loop with a .5" seam allowance. 2. 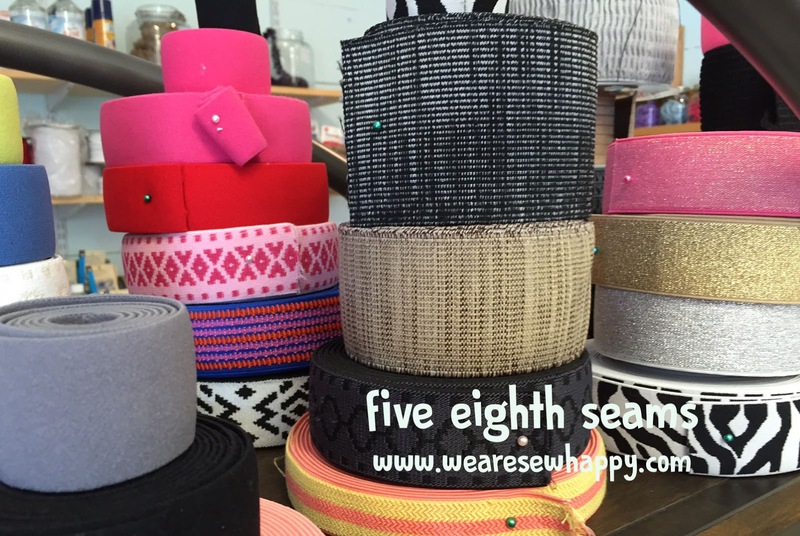 Serge, zig zag or your favorite finishing stitch on the side seam and the top. It is very important that you finish the top. 3. Hem the bottom: Fold it over twice about 1/2". Honestly, you can just do whatever hem length you are comfortable with (pattern allows for up to 1") just make sure you topstitch the hem near the top of the fold in the back so you catch the underneath. For a smooth finish turn your stitch length up a notch. 4.Change your bobbin to a different color. Baste the top edge all the way around (or use your favorite gathering method) go past our first first stitch by 1" for an even gather all the way around. 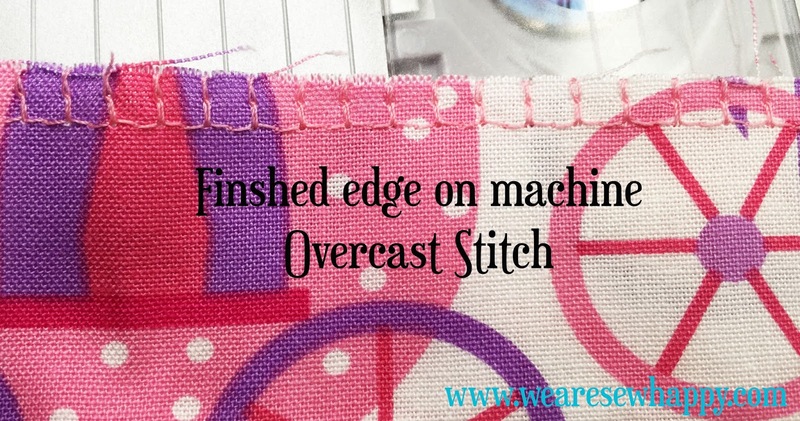 Using the longest stitch on your machine go around the top edge of the fabric using 1/4" seam allowance. 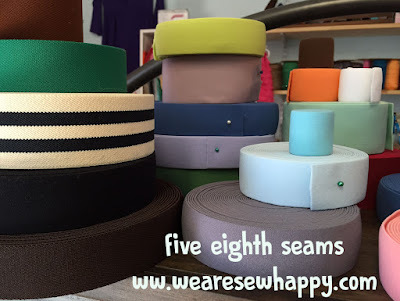 Do this again at 5/8" seam allowance. If you are doing a small skirt you only need to go around once. 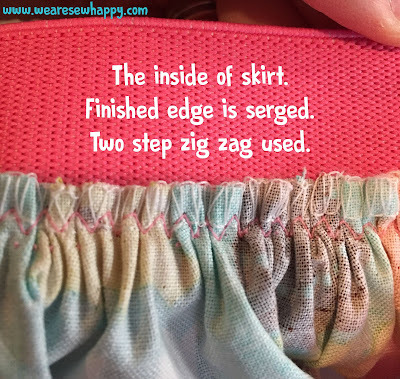 The larger your skirt the more likely it is that you will break the thread while gathering. Two gathering lines will save you a headache so go ahead and do two. DO NOT BACKSTITCH! 5. Change thread color...try to match your elastic as closely as possible. 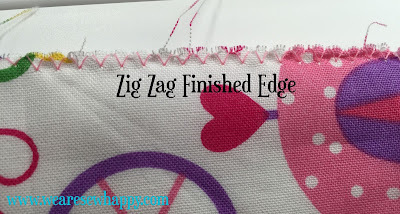 6: Sew elastic together by first zigzagging the raw edge and sewing a straight stitch next to it. It is not a good idea to serge the elastic. You can but it is not good for your machine and the thread color might not match (yes I still do it from time to time). Just for good measure topstitch your elastic down to one side. 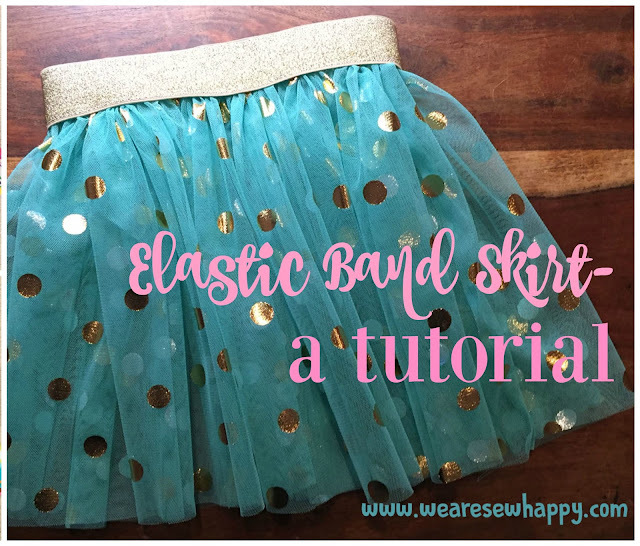 7: Gather the skirt and pin to the elastic. Holding the bobbin string (remember your different color bobbin thread), gather the skirt. 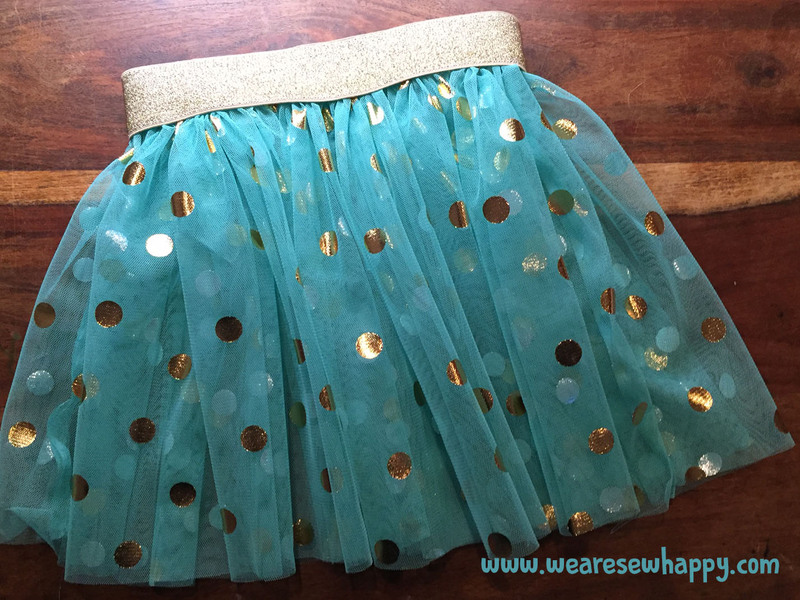 I like to over gather then slowly pull it out while I match the skirt to the elastic. 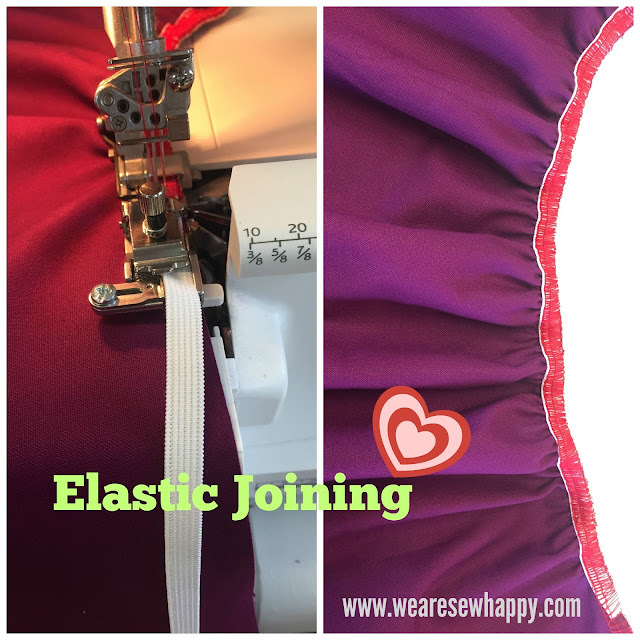 When pinning to the elastic it is good to match up a skirt seam with the elastic seam. If you've got two or more seams just choose one of them. I like to pin the skirt about 2/3 of the way down from the top edge of the elastic, or you can line your 5/8" gathering line with the bottom of the elastic. 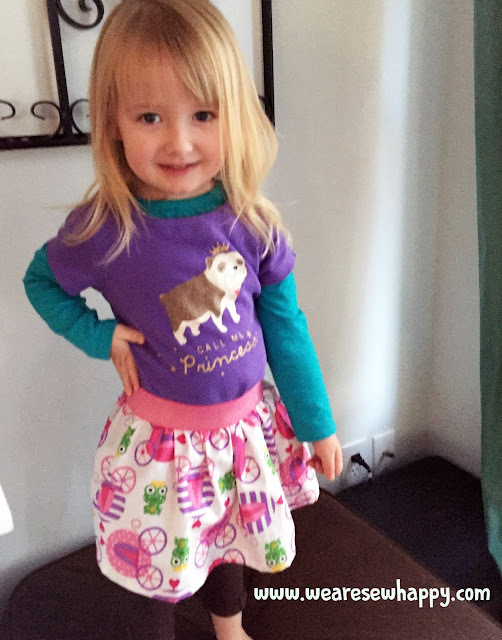 You are pinning the right side of the skirt to the wrong side of the elastic. 8: Sew the elastic on. You want to sew about 1/4" away from the bottom of the elastic. If you think you will be stretching the elastic a lot, put two rows in. ELASTIC THREAD : now is the time to change your bobbin. 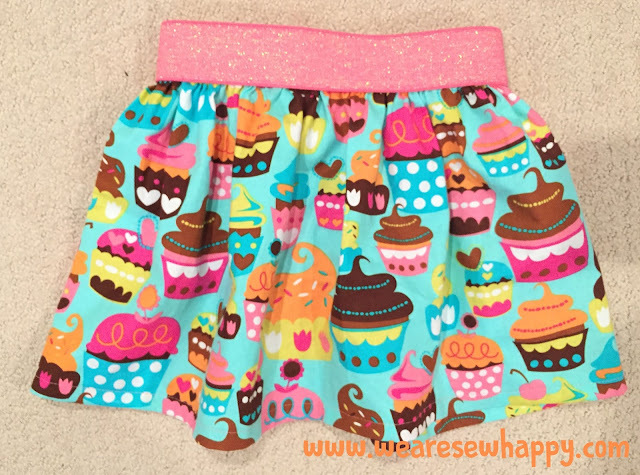 You will also have to sew on the right side of the skirt. 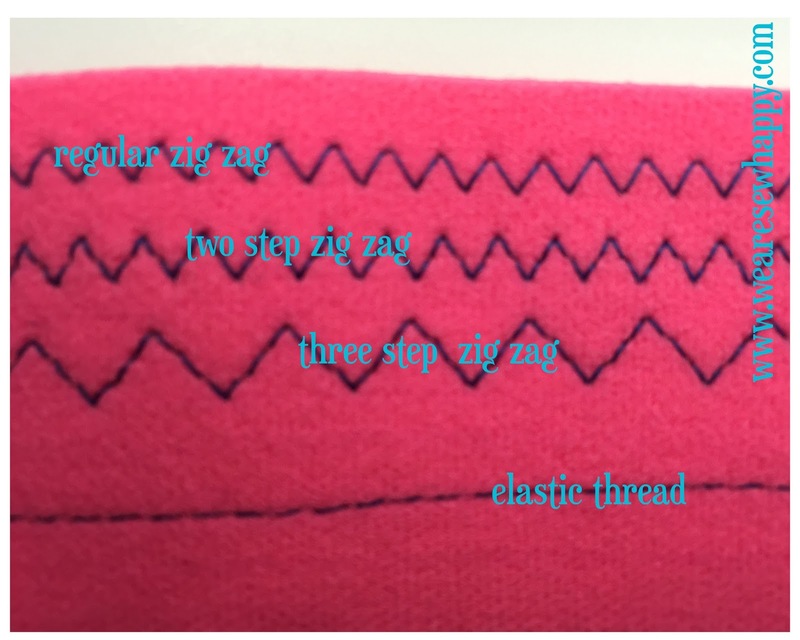 When using elastic thread you can use a straight stitch. 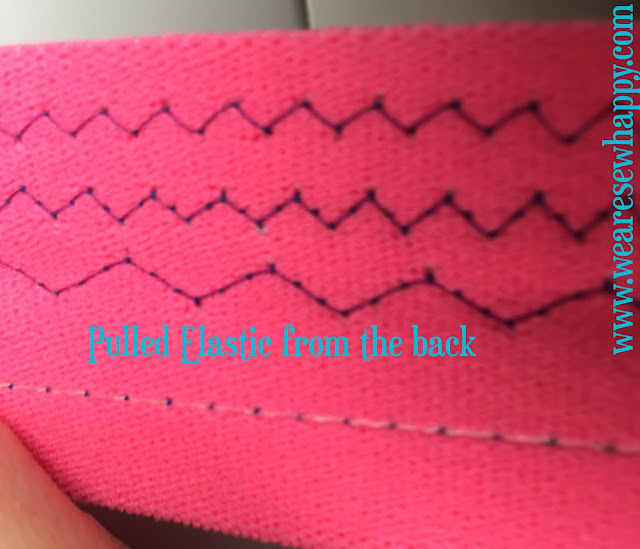 Elastic thread is great because you get a clean look on the outside and a lot of stretch on the inside. Every machine uses elastic thread differently. I strongly suggest practicing on scraps. Your elastic thread should look straight after stitching NOT wavy. It has been my experience that on all machines you need with a drop in bobbin case you need to remove the stitch plate and put in the thread the old fashion way and bring the bobbin thread up the old fashion way as well. Also if your machine has a fix or lock stitch use it instead of backstitching. 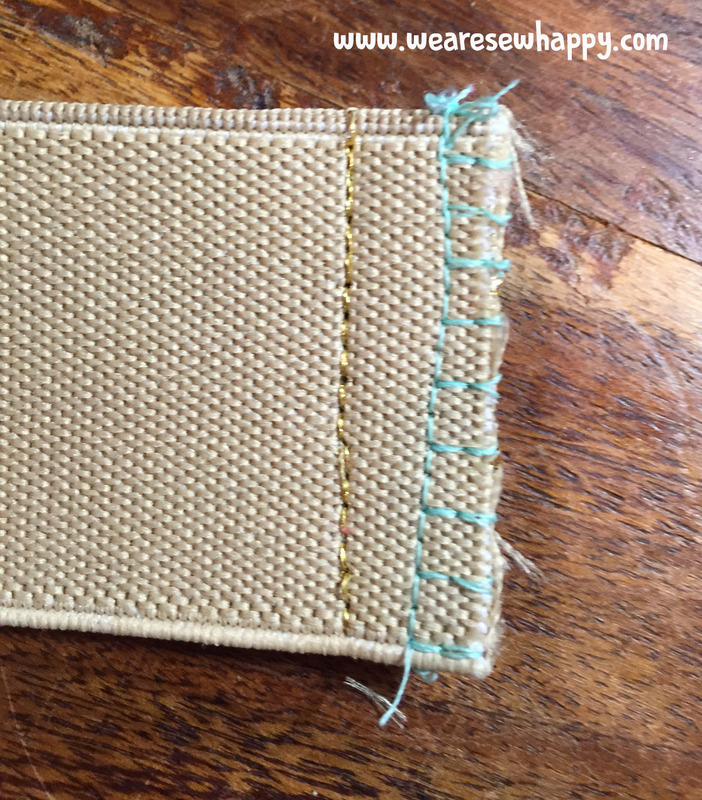 If you do not, turn your stitch down as small as it will go to create a lockstitch. 9: Cut your threads and take out any basting stitches. 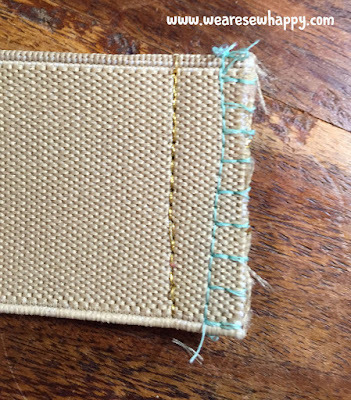 Taking out your basting stitches to keep the stretch in the elastic. They are so FUN!!!!! I don’t know why people hate sergers. Every time we say the word “Serger” people give us “The Look”… Now, I want to tell everyone that sergers are soooo much fun!! They can do so much for your sewing projects. 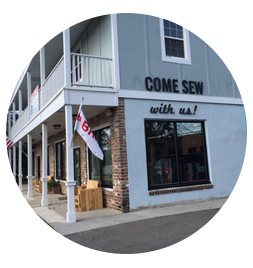 Please take the time and get to know your serger! This year my Valentine is my Huskylock s21 serger. There are many different kinds out there, and they all have something different to offer you. 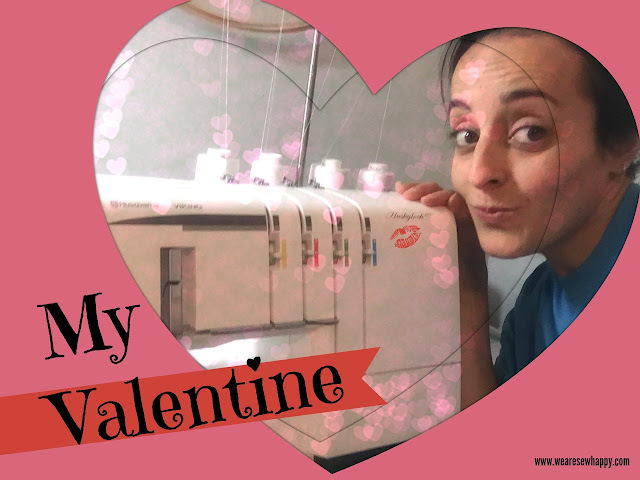 However, on this post I want to talk about my Serger, the Viking S21 model :). 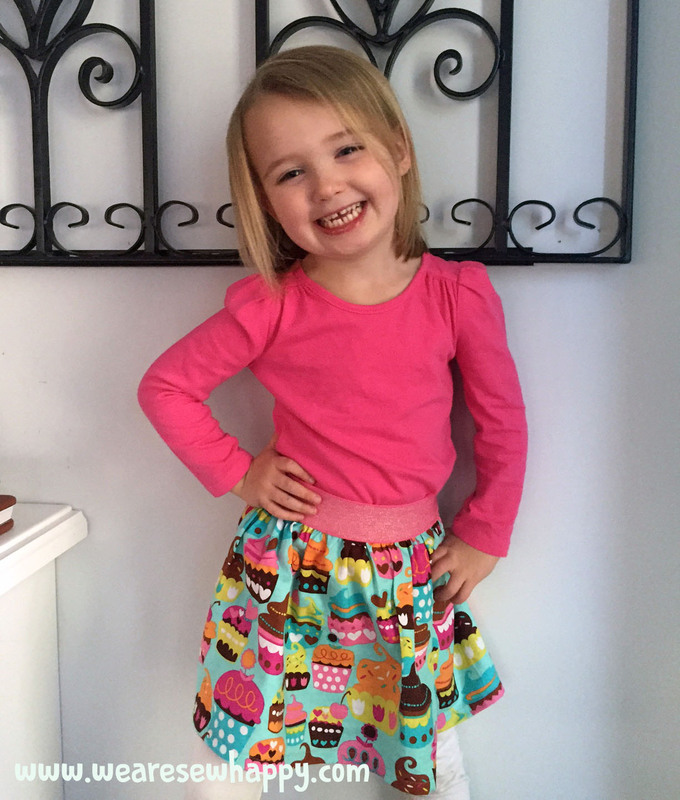 I bought my Serger a few years ago, and I have to admit I was just like you!…Yes! YOU… I was very scared by my Serger. Just to look at her gave me the blues… four to five different threads, five different needle positions, “21” different stitches -> My thoughts …. 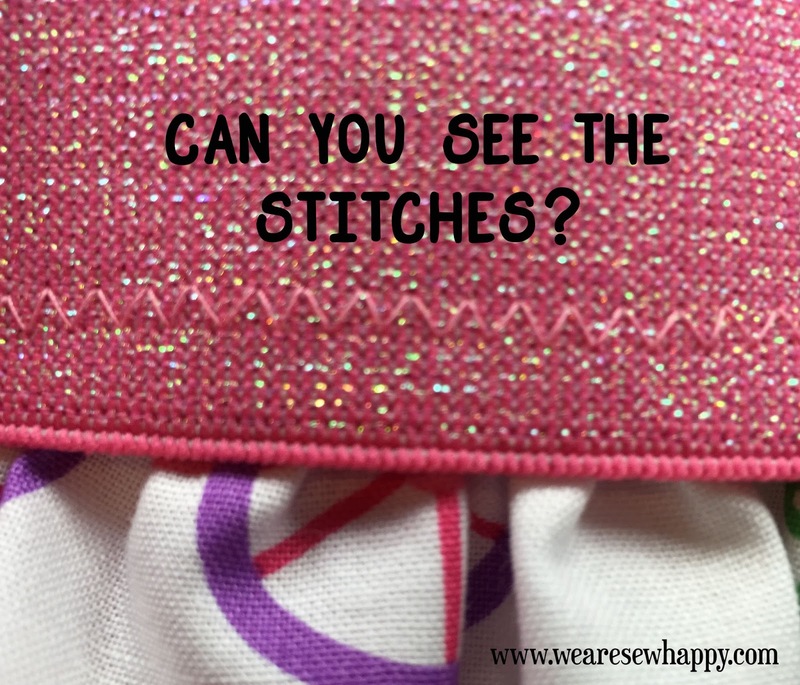 I AM NEVER GOING TO USE “21” different stitches! Yeah right!Today, I LOVE every single one of them!!!! Especially my “Cover Stitch” option on my serger (usually you need to purchased a separate machine that ONLY does cover stitch). 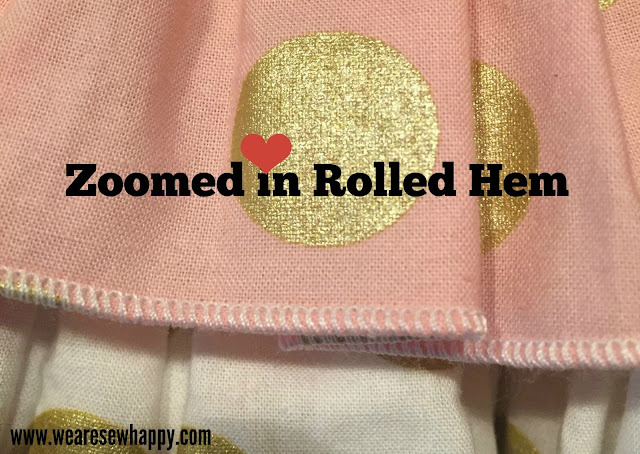 Another favorite of mine -> The beautiful “Roll Hem”! Yes!! My Serger does the most beautiful roll hem . And my latest favorite is the “Cover Stitch Binding”. This presser foot is the latest creation from Husqvarna Viking specific to the Sergers. You can use this foot on your S21 and S25 models. Now, let me tell you about this beauty. 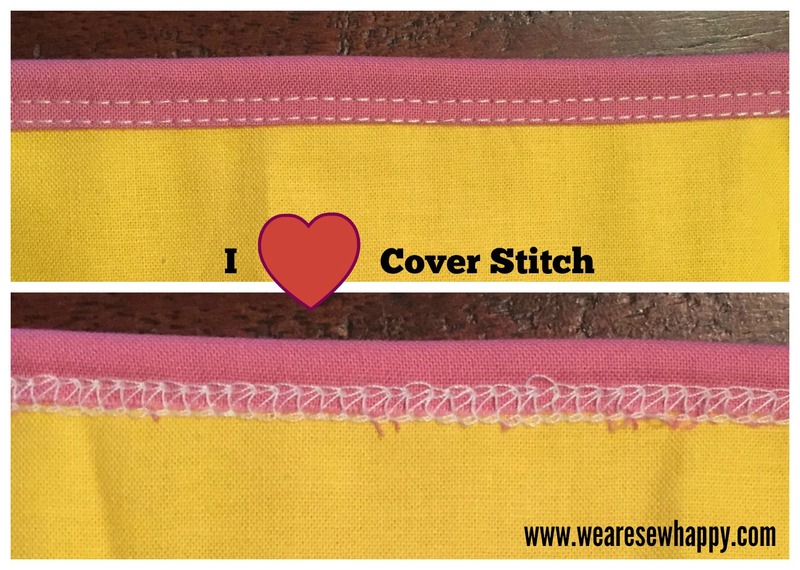 Like the name states, it is a “Cover Stitch Binding” foot, and Yes!!! you can now bind ANYTHING with a SERGER. You read that right! BINDING WITH A SERGER, and it does a beautiful job. You name it! placemats? napkins? baby blankies, perhaps a quilt? Why not? 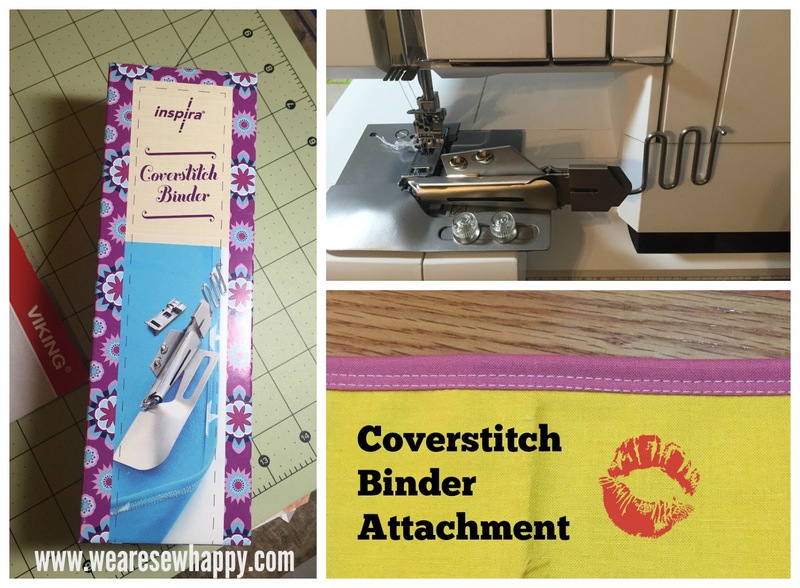 You can bind anything now using your Serger. A piping foot is another attachment you can use to quickly make your own piping. Another exciting foot is the elastic foot. I should definitely use this more. 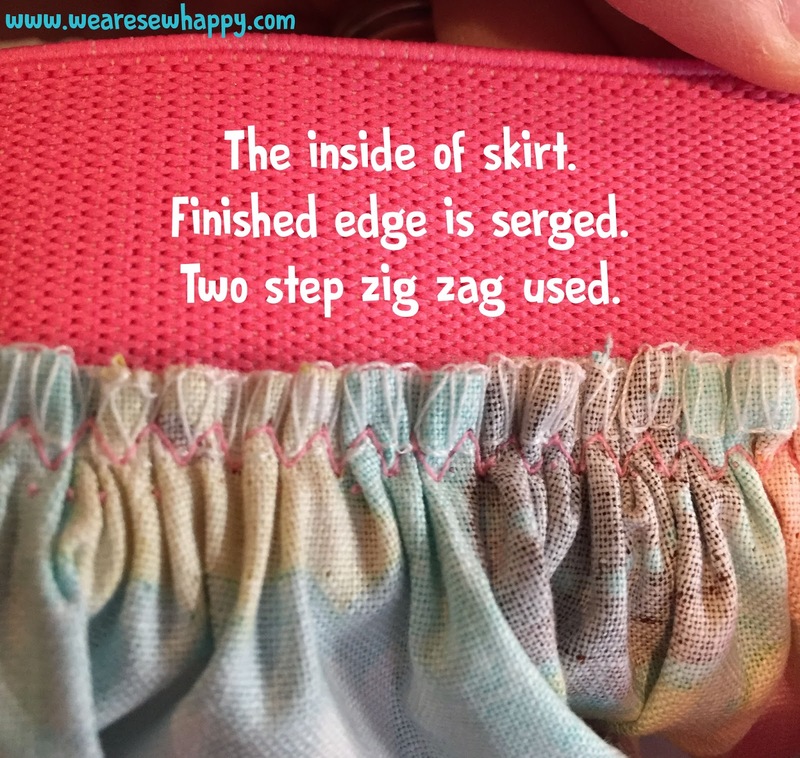 So, PLEASE give your Serger a chance. They are wonderful machines and I think people underestimate the “power” of a Serger. ;) You are missing out if you have not given your Serger a chance yet!